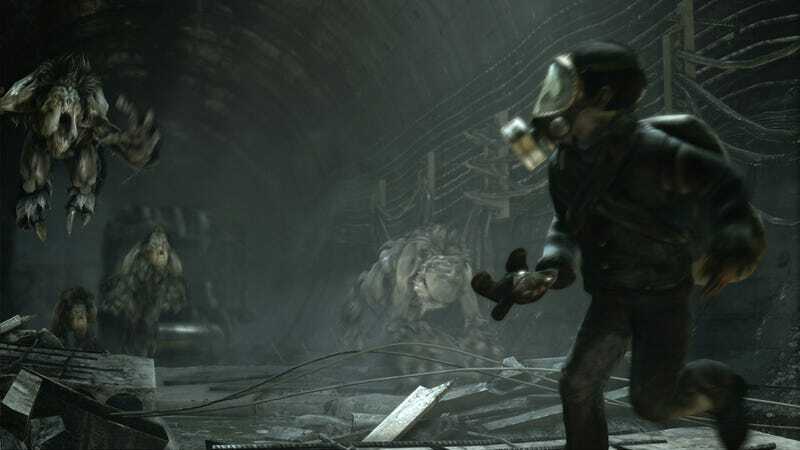 Survival Metro: Last Light is a sequel to Metro 2033, and picks up after the game's "bad" ending. Bummer. These latest batch of screens show the underground environments and a stark wintery tree. The game will be out sometime next year on a whole bunch of platforms like the PS3, the Xbox 360, the PC, and the Wii U. I guess that's not that many.